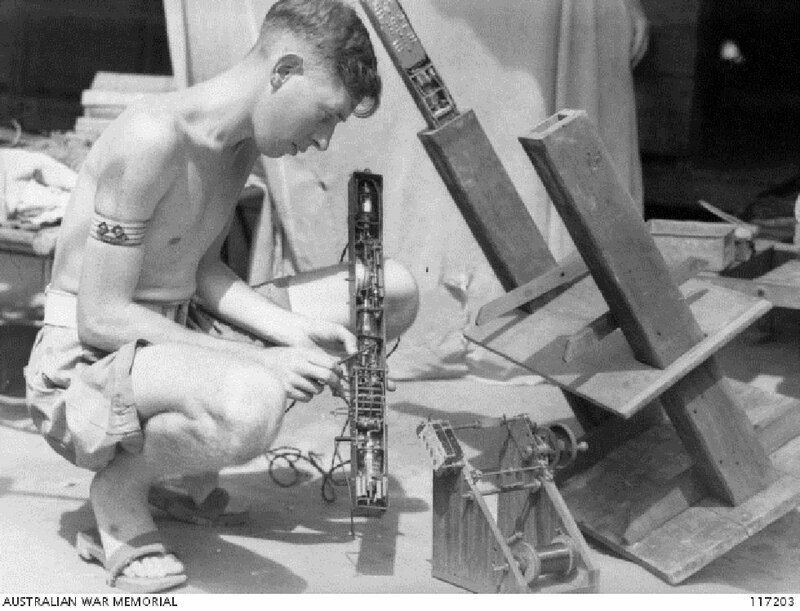 Lieutenant R. F. Wright from the Australian Army Ordnance Corps, 8th Australian Division, displaying a secret wireless set which he made and installed in the legs of a table in the Changi Gaol while a POW. Image taken 15 September 1945, courtesy of Australian War Memorial. 10 October 1943 - 31 March 1944. 5 June - 22 August 1944. 22 August 1944 - 19 August 1945. 29 July 1945. 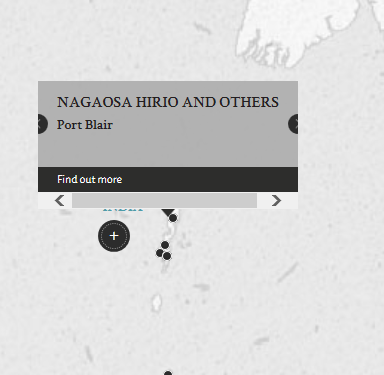 The Japanese forces in the Andamans, anxious to retain the loyalty of the civilian inhabitants, made scapegoats of the victims by using torture to extract false confessions of espionage from the victims. The defendants were employed as investigators of espionage cases in the civil jail where the offences were allegedly committed. Mitsubashi was in charge of the investigations, while the rest of the defendants were under his supervision. At least one victim died due to ill treatment by the defendants, whereas over forty others were executed on the basis of the extorted confessions. All the charges relate to the ill treatment (including torture) of various victims, resulting in suffering and death for some. Nagaosa, Hirio. Chief Petty Officer. From Japanese military. From Japan. Not guilty on one charge, guilty on two others. Death by hanging. Sentence confirmed. Tada, Miyoshi. Petty Officer. From Japanese military. From Japan. Guilty. Death by hanging. Sentence confirmed. Ozaki, Fukuichi. Chief Petty Officer. From Japanese military. From Japan. Guilty on two charges. Death by hanging. Sentence confirmed. Okumura, Senichi. Sergeant. From Japanese military. From Japan. Not guilty on one charge, guilty on another charge. 15 years' imprisonment. Sentence confirmed. Hayashi, Yasuo. Sergeant. From Japanese military. From Japan. Not guilty on two charges, guilty on another. 15 years' imprisonment. Sentence confirmed. Mitsubishi, Mataichi. Civil Administrator (Head of General Affairs Department/Police Chief). Civilian. From Japan. Guilty on three charges. Death by hanging. Sentence confirmed. Hashida, Susumu. Interpreter. Civilian. From Japan. Not guilty on one charge, guilty on two others. Death by hanging. Sentence confirmed. Mikami, Yoshiharu. Interpreter. Civilian. From Japan. Not guilty. Finding confirmed. Lewis, R.I. Major. From British military. Southall, P. Captain. From British military. Saeki, Kinji. Former judge in Hiroshima. Tamesume, Komori. Lieutenant Colonel. From Japanese military.